→Gluten Wheat Free Diet: Is It For You? As you can see, gluten can be found in a lot of places, although people most commonly think of breads. To go on a strict gluten free diet can take some doing! Who Needs A Gluten Wheat Free Diet? This protein is a real problem for people with celiac disease. They absolutely can not tolerate gluten, and must adhere to a strict gluten-free diet for optimum health. There is no doubt whatsoever they need to be on this diet. However, there are other people who could benefit from a Gluten Wheat Free Diet. Some people have problems with constipation or diarrhea, are tested for celiac disease, and the tests are negative. So what’s going on? It turns out that many people have what is called “gluten sensitivity.” While they are not actually allergic to wheat or have celiac disease, they still have intestinal “problems” when they consume wheat products. “Gluten sensitivity is basically a bit unknown. It’s everything that is not wheat allergy or celiac disease, and yet these individuals experience adverse events when they ingest gluten.” says Stefano Guandalini, MD, director of the University of Chicago Celiac Disease Center. Unfortunately, not all doctors are clued in to this diagnosis of gluten insensitivity, and don’t know to recommend patients try a gluten wheat free diet to alleviate intestinal problems that won’t go away. On the plus side, people can test out a gluten free diet on their own, and find out if it helps them. 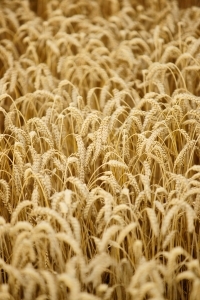 All you have to do is eliminate wheat from your diet, eating only gluten-free foods. That sounds pretty simple, to just take away one ingredient from the foods you eat. However, gluten is found in lot different food products, and which ones have gluten is not always obvious. It takes some education and research to learn how to eliminate gluten from your diet and only eat foods that are healthy for you. So while the downside for the population as a whole is that more and more people have this problem of gluten sensitivity, the upside is that because it is becoming more common, it is easier to find good information about how to eat gluten free. If you think you may have a gluten sensitivity, it doesn’t hurt anything to try out a gluten-free diet for a while, and see if your symptoms disappear. At worst, you’ve spent some time on a diet you didn’t need, but you could discover that a gluten wheat free diet is exactly what you need to improve your health!